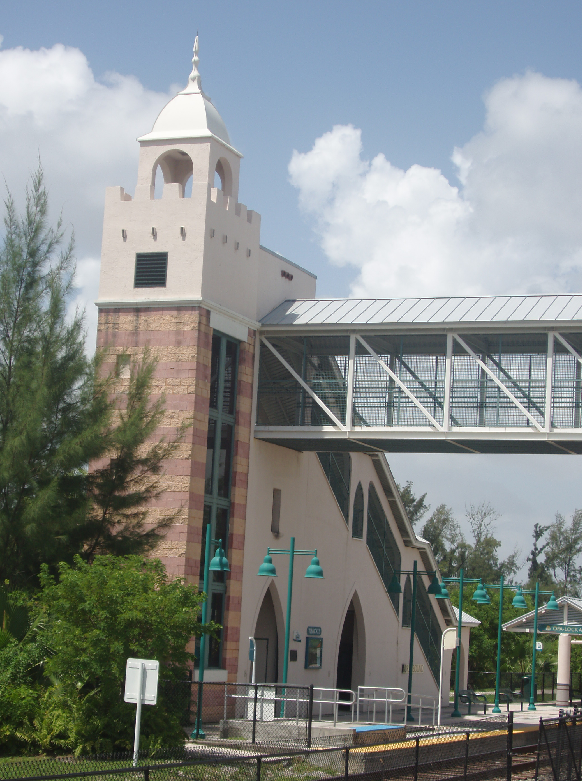 Today while doing my transit research for the Miami TriRail System I came across Opa-Locka station. Interesting name, I thought as I zoomed into the station on Google Earth. Checking first for handicap accessible egresseses, I found an escalator concealed within a hideous concrete turret and an outer wall of paste-y, pastel-striped patterns. Meanwhile, the station looked as if it had come straight out of Disney’s Aladdin. What the hell was going on? Did SFRTA (South Florida Regional Transportation Authority) blow their budget trying to recreate the Oriental Express? I zoomed out only to discover that the station was located at 480 Ali Baba Avenue, not far from Sultan Avenue and Sesame Street. Sure Florida is no stranger to kitsch, but I began to wonder if everyone in public works had missed that whole, you know, post-colonial, Edward Saidian discourse about the danger of exoticizing the East. 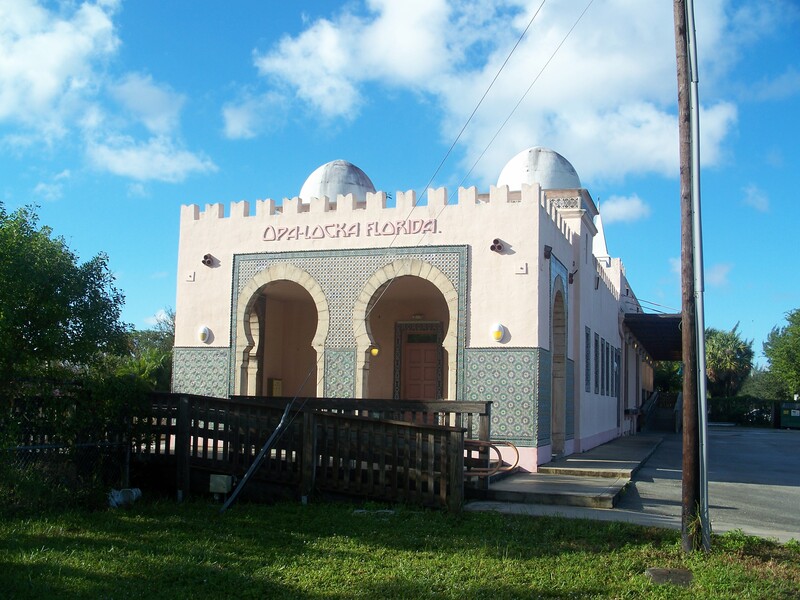 Wishing to investigate further, I went to the town of Opa-Locka’s site. Despite a lot of broken links, what I learned is that the town was founded in 1926 by 28 registered voters, one of whom was Glen Curtiss. Curtiss’s vision was to develop the town entirely off Arabian Nights. Apparently, the town boasts the largest collection of Moorish Revival architecture in the Western hemisphere (according to Wikipedia) and many of these buildings are recognized and registered by the state as historic places. It seems to me there is a correlation between warm weather and fantasy architecture. That and the American tendency to take everything literally. I have no idea who Glen Curtiss was, maybe he spent so much time in the Middle East prior to South Florida that the only way he could possible tolerate this new town was to recreate that far away place. But, I’m pretty sure that’s not how it went. In my mind, Opa-Locka is a good example of how the more we try to recreate what we perceive to be reality, the further away from it we become.